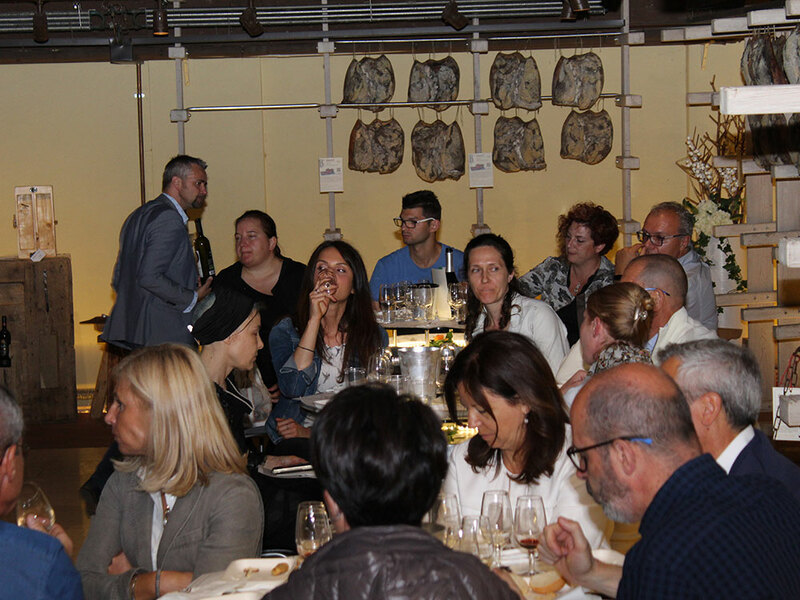 Tuesday, June 26, tasting evening refined cheeses. 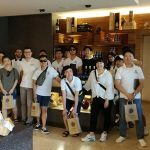 Corrado Benedetti’s aging cellars host the Verona ONAF delegation for an evening dedicated to the sensorial tasting of refined cheeses. An evening entirely dedicated to the world of cheeses, in particular the type of refinements. 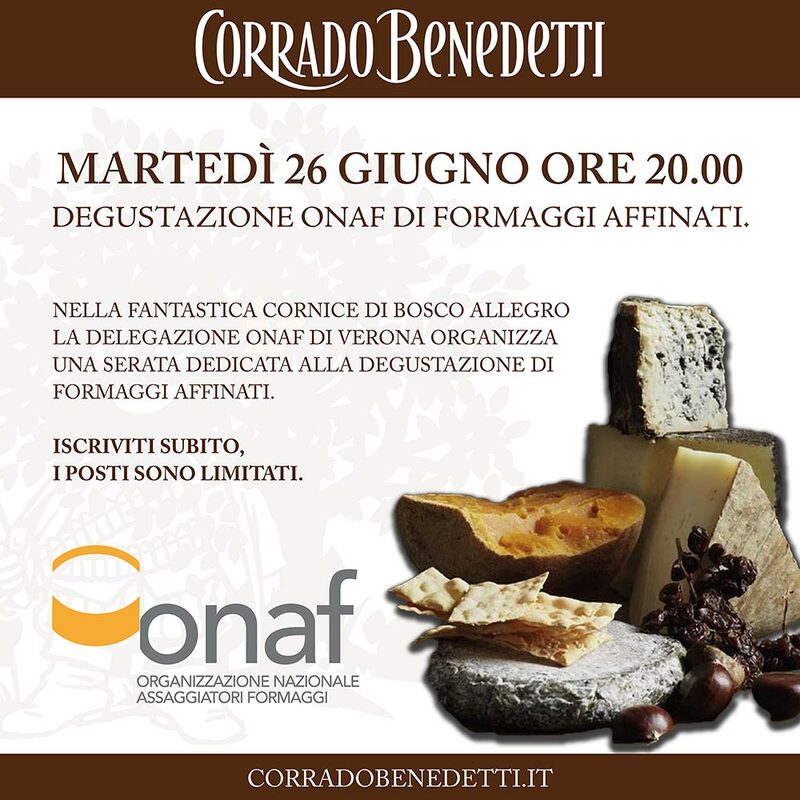 The ONAf delegation of Verona organizes in the seasonings of Corrado Benedetti an evening to explore the world of refinements, tastes, perfumes and techniques to create these particularities inextricably linked to our territory, as a business philosophy. 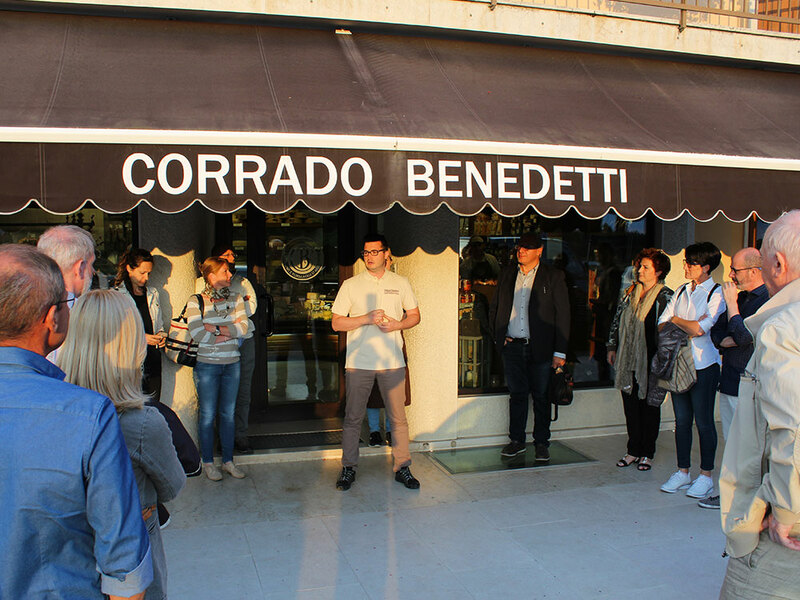 At the end of the evening for all participants a tasting buffet of cured meats, cheeses and combinations; in perfect Corrado Benedetti style.